Looking for Pest Exterminators in NJ? ALCO Animal & Pest Control is the Pest Control service for you! 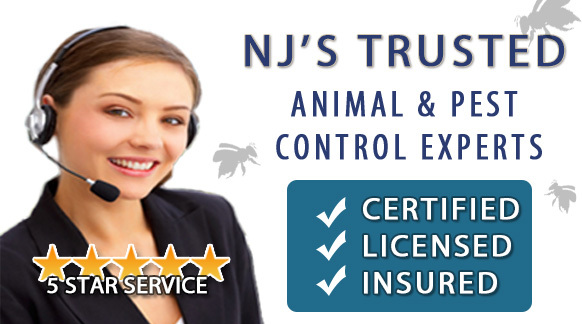 Since 1995 ALCO Animal & Pest Control has been providing excellent Pest Control service for many satisfied clients in NJ. Whether it is Pest Control service for homes or commercial Pest Control service, ALCO Animal & Pest Control can solve your Pest Control problem easily. Using the most environmentally friendly Pest Control products ALCO Animal & Pest Control will safely remove all your unwanted Pest in no time. At ALCO NJ Pest Control, we specialize in all types of pest control service in NJ. We provide solutions to your problem and safe pest control or NJ animal removal from your home or business. At ALCO NJ Pest Control, we always use the most cautious and humane procedures possible. We have same-day service for pest control in NJ, as well as for all other services that we provide. Whether your household is infested with bed bugs, ants, termites, roaches, or any wildlife creatures, our experienced, reliable pest control specialists will remove the pests as soon as possible! Our pest control technicians are trained to take care of any pest problem you have. Need Pest Exterminators in NJ? ALCO Animal & Pest Control is the Pest Control service for you! Need more information about Pest? Need more information about NJ?